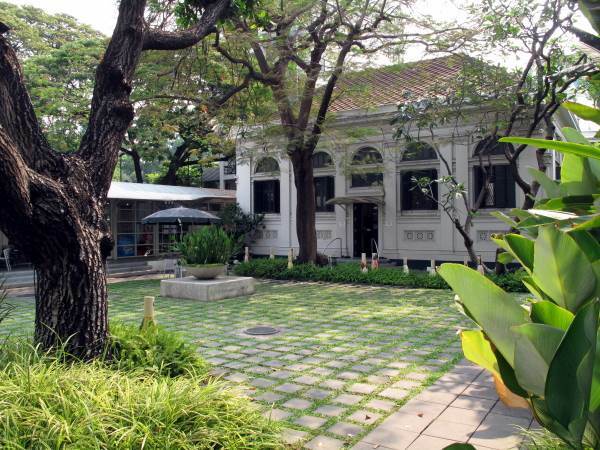 The Neilson Hays Library is a historic library on Surawong Road. From website: Daily life in Bangkok was very different in 1869 when The Bangkok Ladies' Library Association was first founded. Most of what is now today's modern city was then a lush network of swamps, klongs and small settlements. Such would have been the case for the Silom (Windmill) area; Surawong Road itself was not to be built until later in 1897. At this time King Rama V was a young man, recently crowned and destined to lead Siam through many changes.